The most important thing in a meadow is grass. 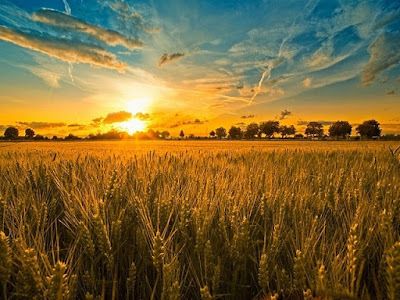 In a field, it is wheat. In a garden, it is vegetables. No one boasts about the enclosure of the meadow more than they do the hay in the meadow. Nor does anyone boast more about the shed in the field than they do the wheat in the field. Neither does anyone boast of the ditches more than they do the vegetables in the garden. Why do people boast about their countries; the roads throughout the country; the demarcations and boundaries of a country and cities throughout the country and everything else that is not more important from the enclosures of the meadows, neither the shed in the field, neither the ditches in the garden when it is compared to the main crop, i.e., with man? Men do not exist for the sake of the country but the country exists for the sake of men. Christ did not come to save countries, but men. A country receives its value from good citizens. And what do evil people receive from a great country? Thorns in a spacious field.